At Meerkat Communications, we cater to our clients’ needs. Each company is different. Each project is different. So what do we charge? Well, it depends on what you want and what you need. For writing projects, we usually work at an hourly rate of $75/hour*, but we can also work out a per project rate. The cost will vary depending on the scope of work. Rates for workshops and corporate training are different, too, because of the difference in scope. Please contact us if you have any specific questions about this information. 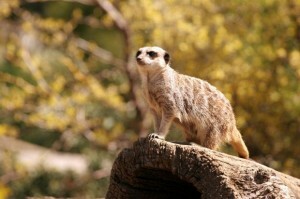 Step 1: Take a look at the Meerkat Menu of Writing and Editing Services and the Rates table below. Step 2: Contact us, and include a brief description of what you need, as well your web address (if you already have a website). Step 3: We’ll contact you as quickly as possible with any questions we may need answered to clarify the project’s scope. Step 4: We’ll email you our project estimate. Step 5: We help you create killer content for your site! We like to start each project off on the right foot and avoid any messy break ups, so before we begin, we ask clients to sign a Letter of Agreement and pay a 50% retainer. A common industry practice, this is not about trust, but about commitment – from us and from you. We like commitment. We aren’t demanding, however, so please contact us if you’d like to discuss a different payment option. We send out our final invoices electronically a week after you have received the initial draft of your copy, payable within 15 days (otherwise you’ll have to pay that nasty thing called interest). If you happen to cancel a project, or decide to postpone it for any reason, we’ll invoice you for all the work we’ve done up until that date. If we are going to be working with you on a long term project, then we’ll invoice you monthly. We provide the highest quality work possible, but we also want to make sure that you are 100% satisfied. All work we do includes an initial draft and subsequent revision, provided that you let us know you want revisions within 15 days of your receipt of the content, and that these revisions do not involve major changes to the intial, agreed upon project scope. If you’d like further revisions, we work at a rate of $75/hour. What’s ours is yours. We hand over any copyright for all of the content and ideas we develop for you once we have received full payment for the project. Although we work with the beady eyes of the meerkat and we check thoroughly to try and ensure that all content we create is free of mistakes and omissions (including spelling and content errors), sadly we are only human and cannot guarantee this 100%. We always recommend that you double check any content thoroughly before printing or publishing. We don’t charge for any small, out-of-pocket expenses needed to complete your project, including phone calls, emails or internet. Our idea development services for projects are included in your fee, but if you would like additional consulting services for content that we won’t be editing/writing/proofreading ourselves, we do charge a consulting fee. In the unlikely event that a chargeable expense becomes necessary, we’ll contact you for approval beforehand. If you have any questions about any of this information, please contact us.